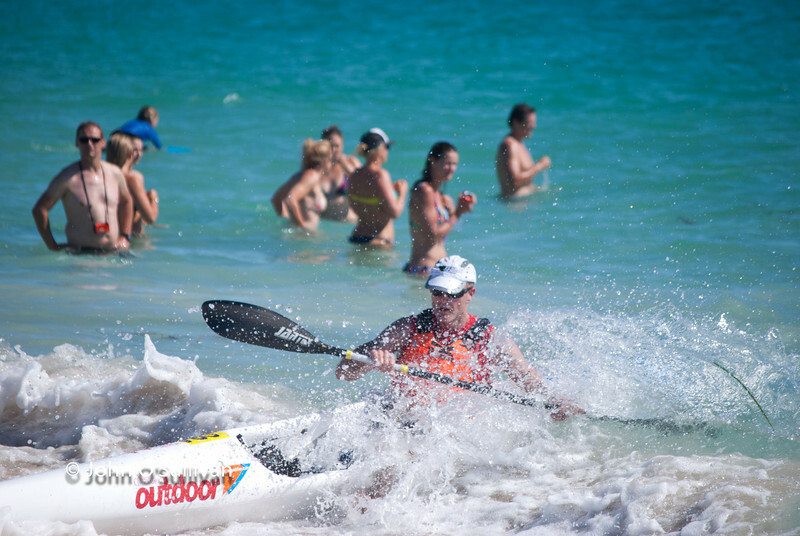 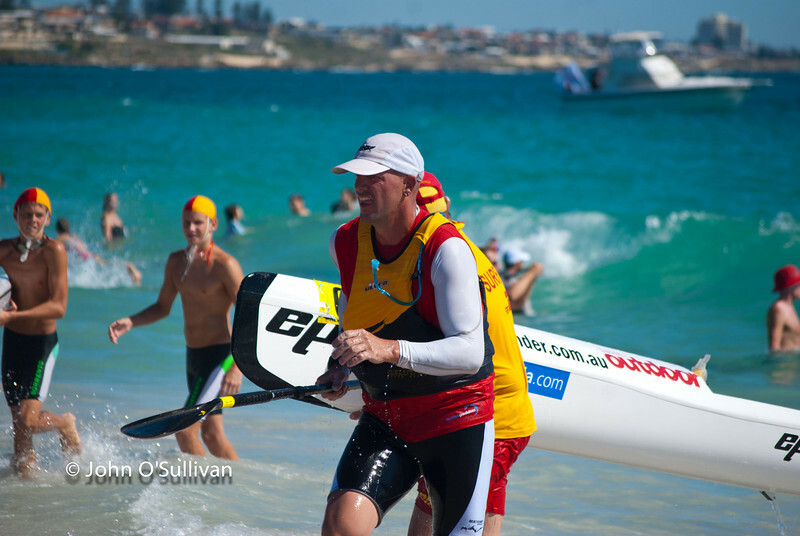 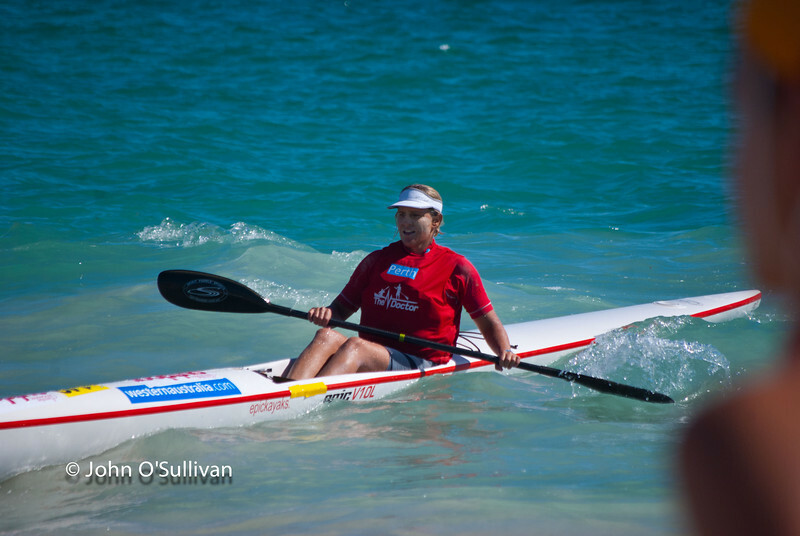 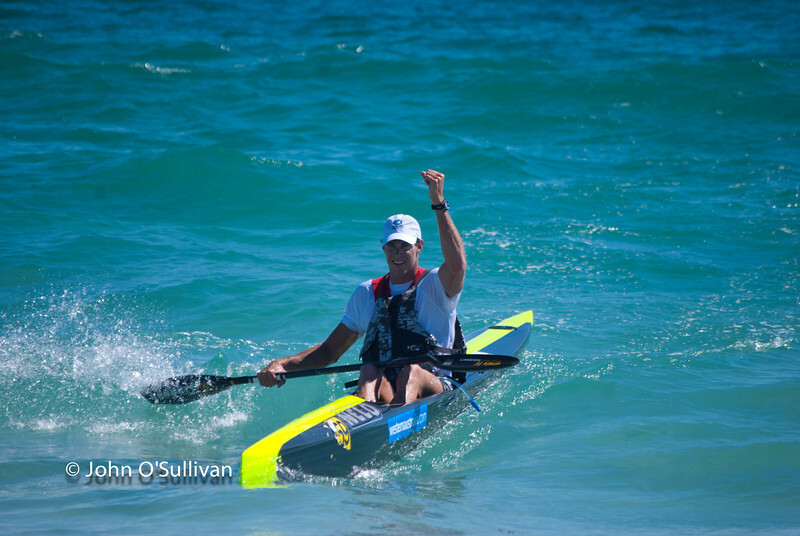 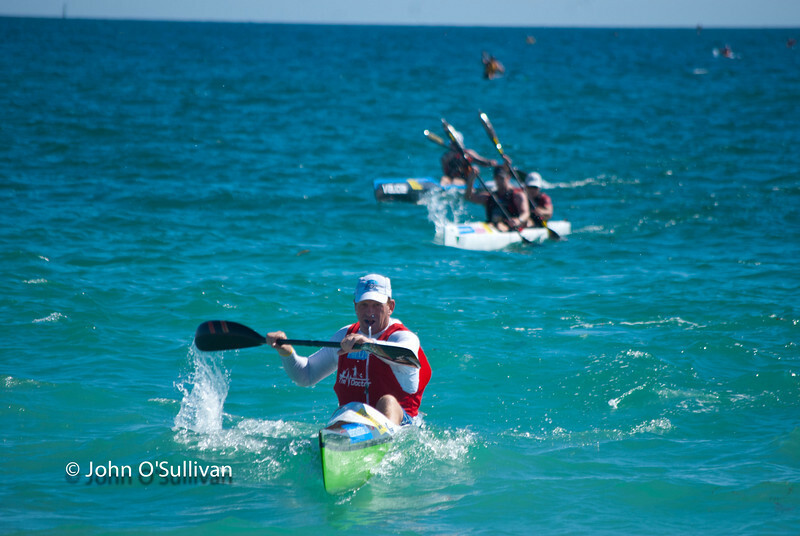 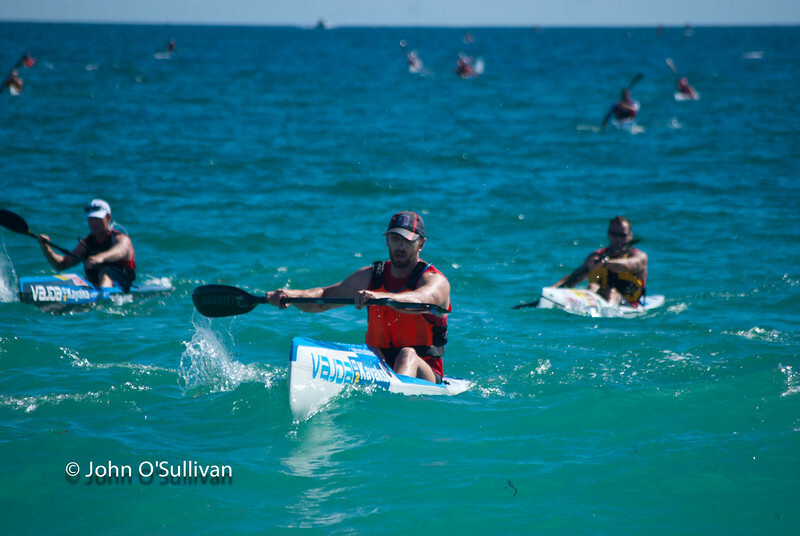 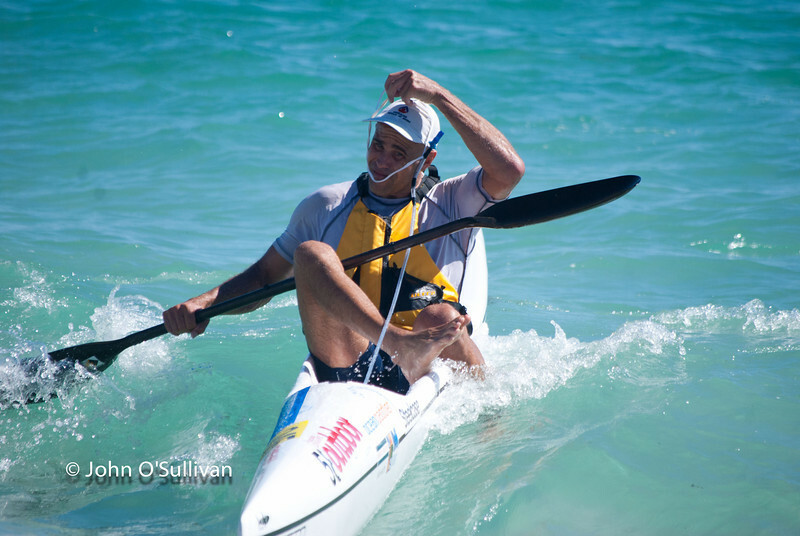 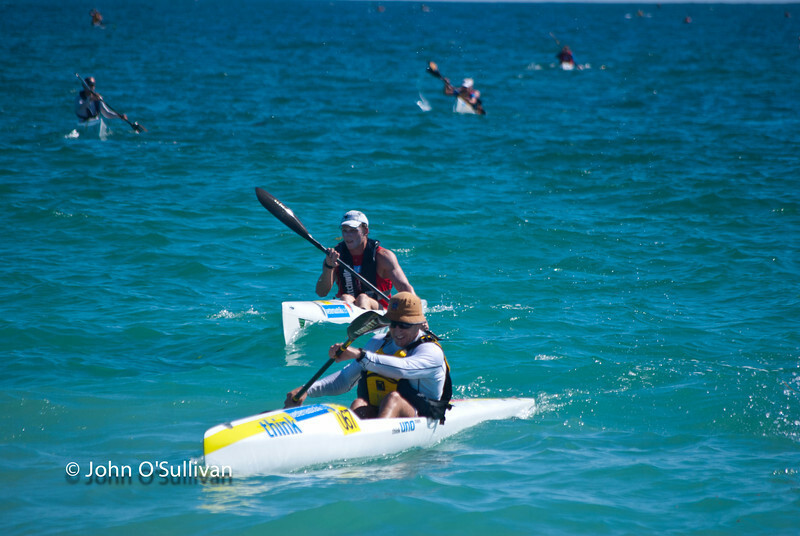 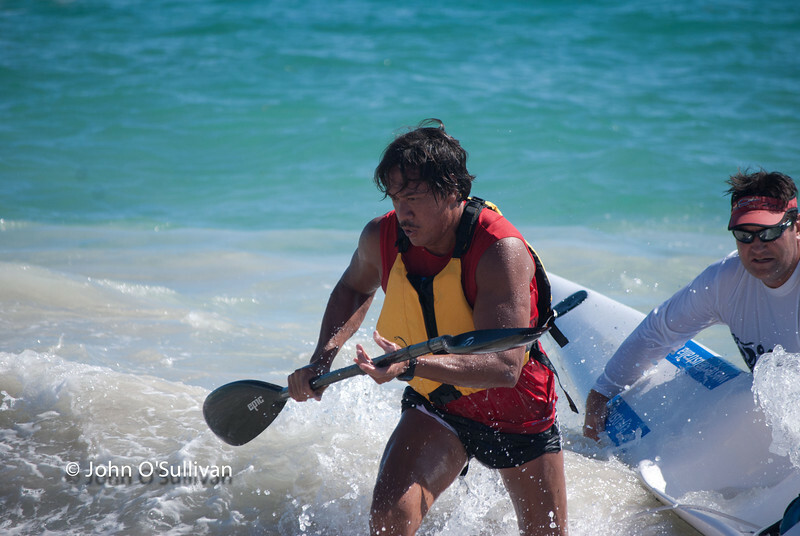 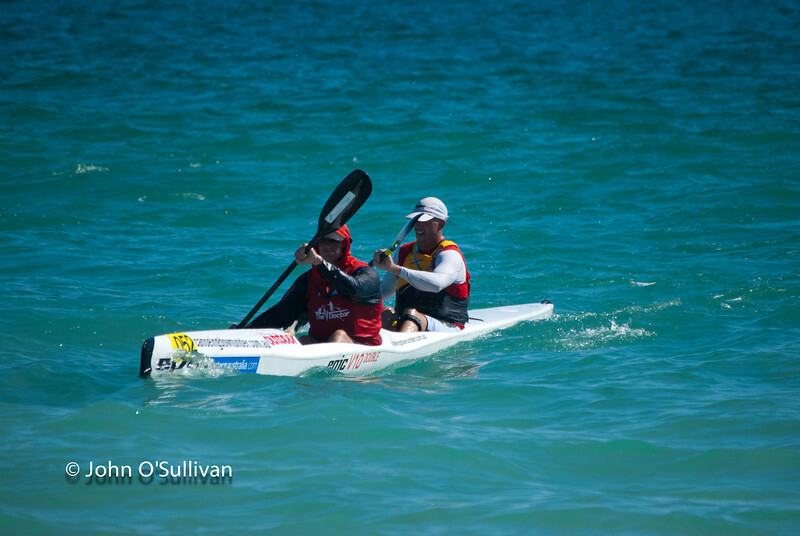 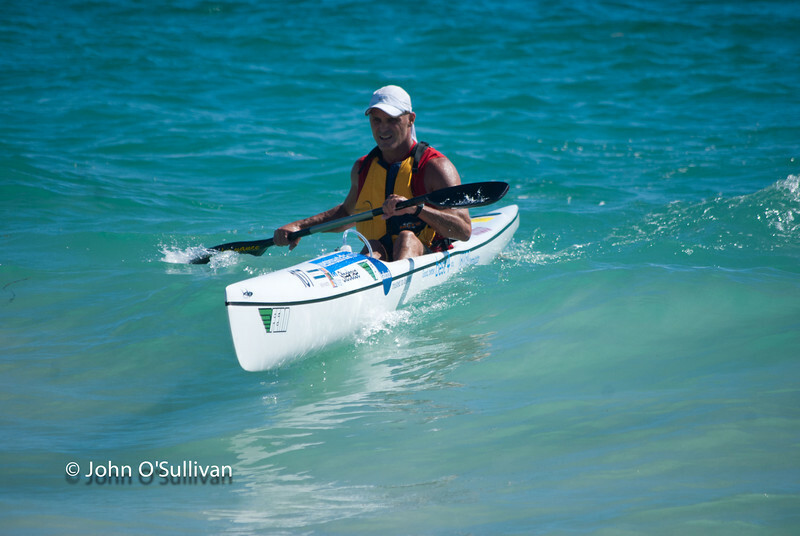 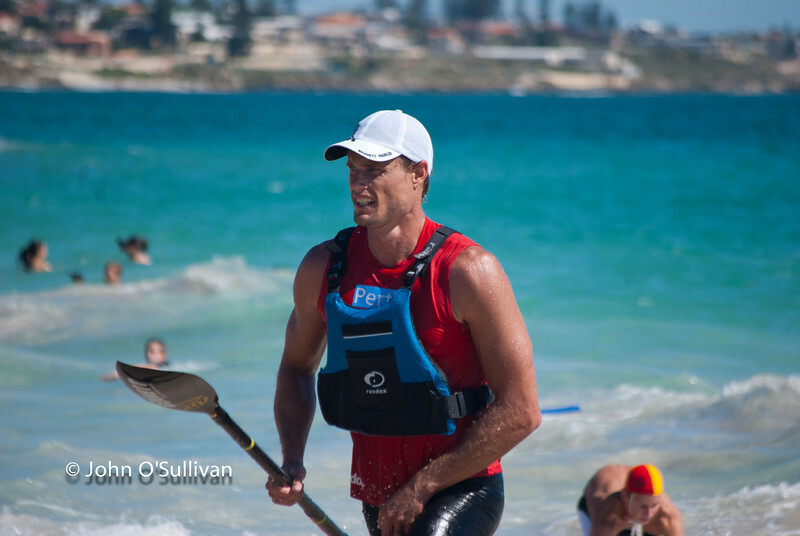 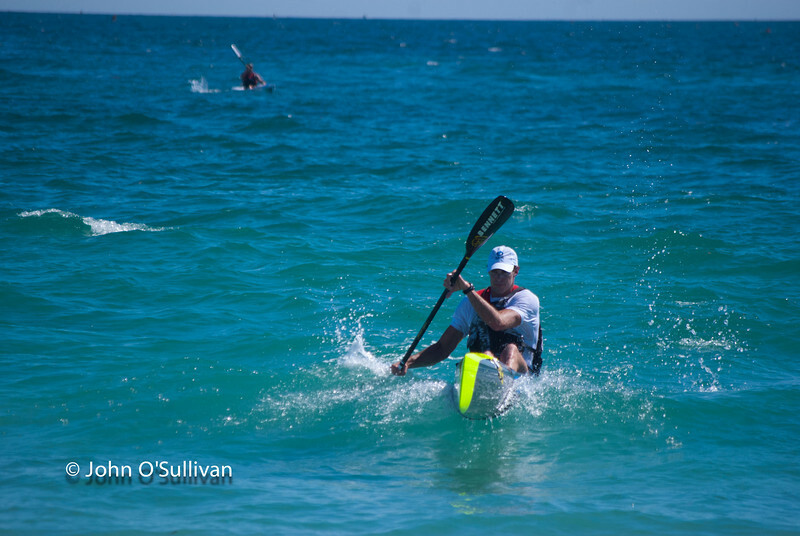 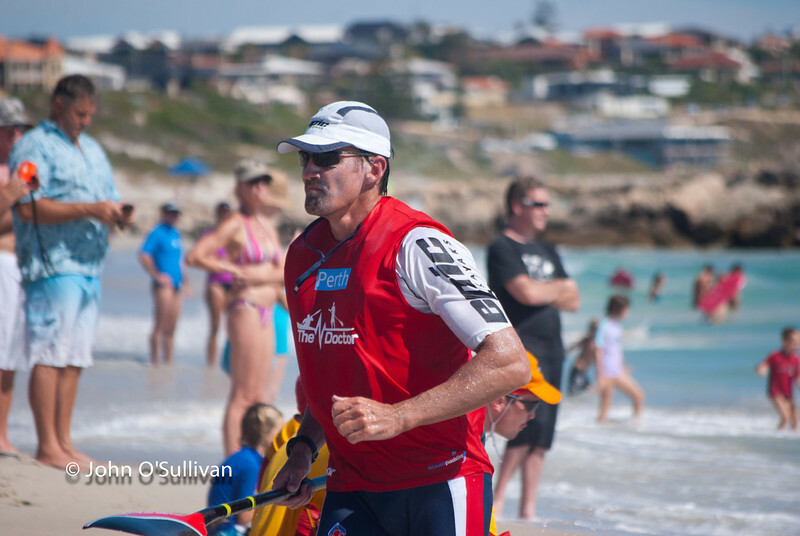 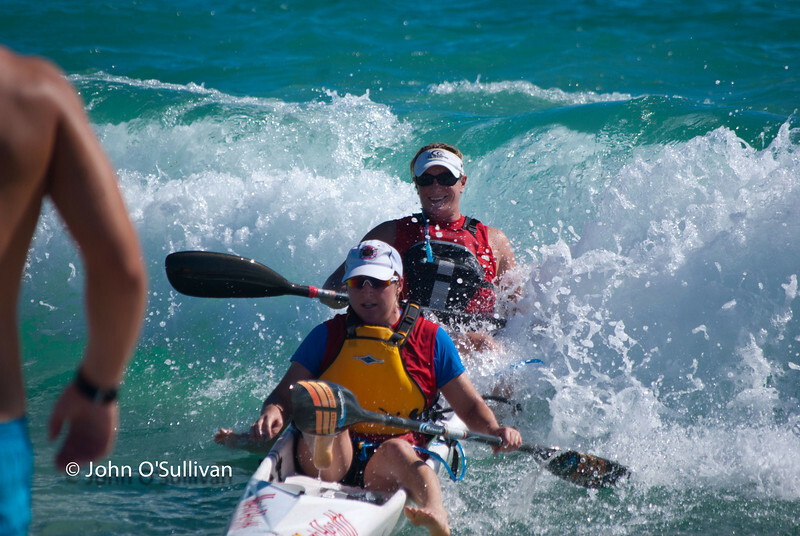 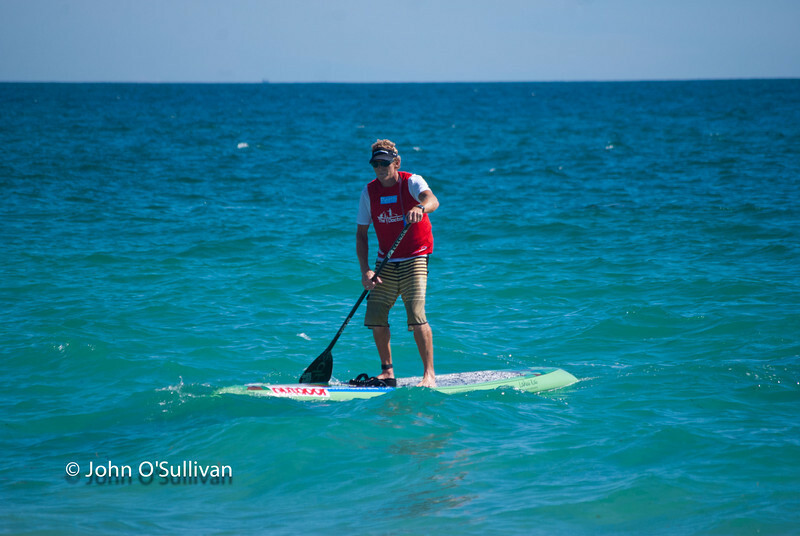 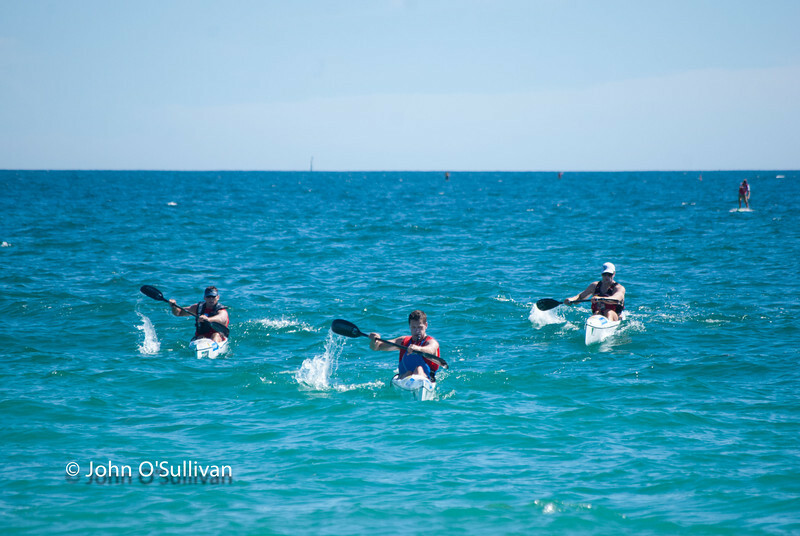 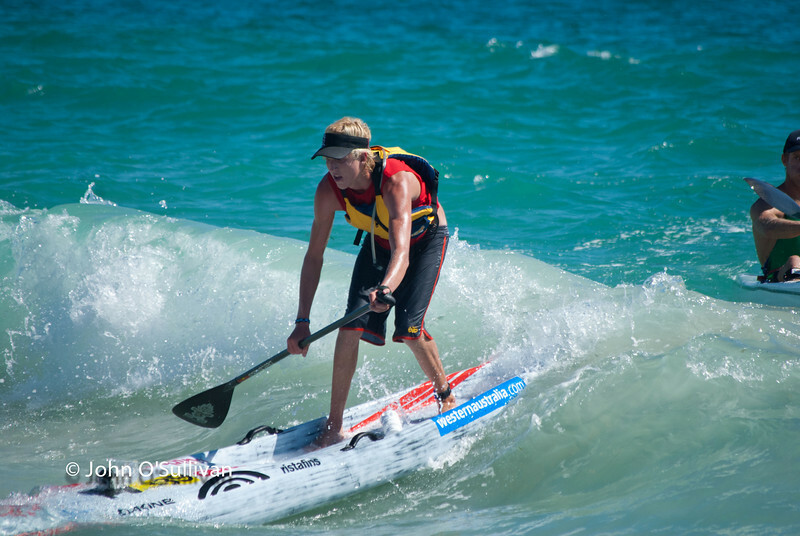 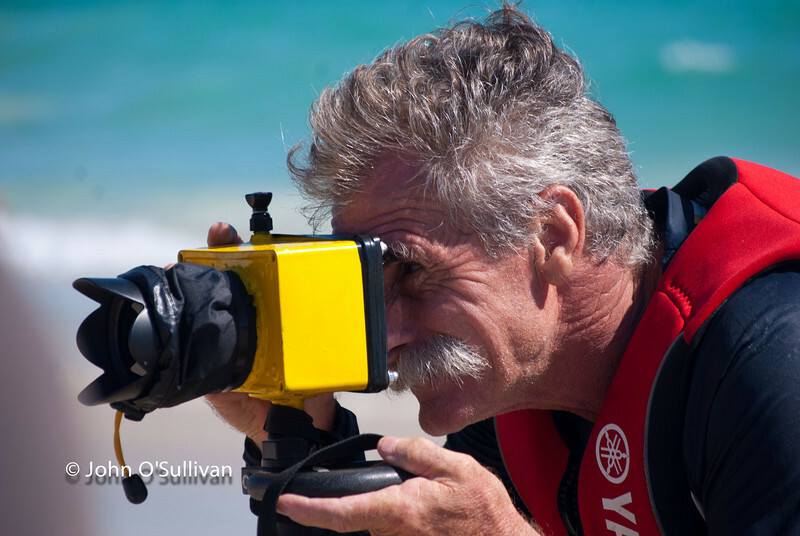 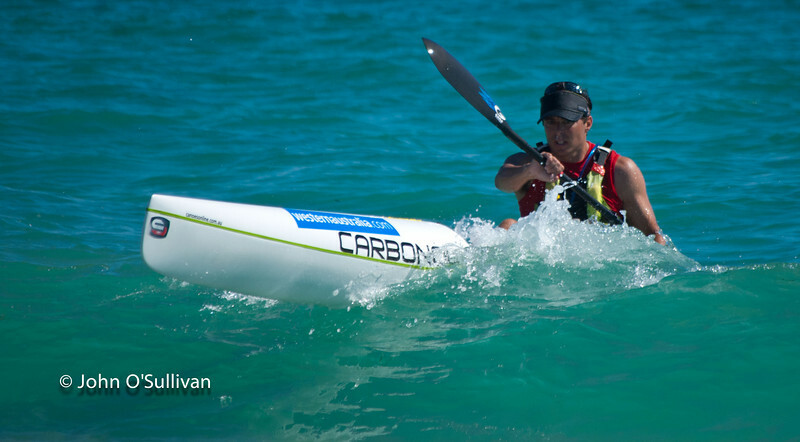 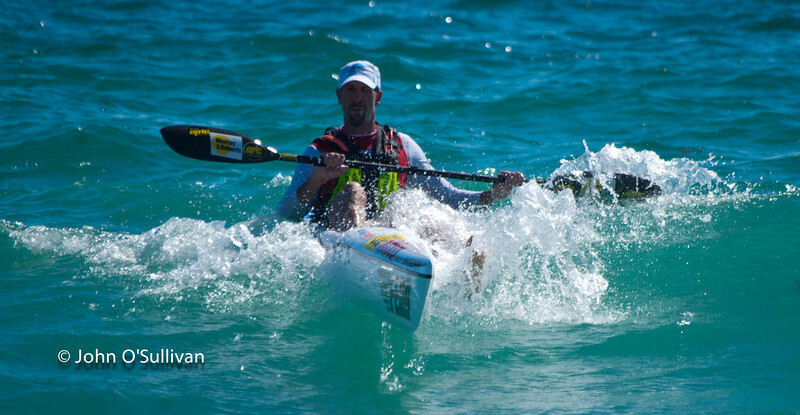 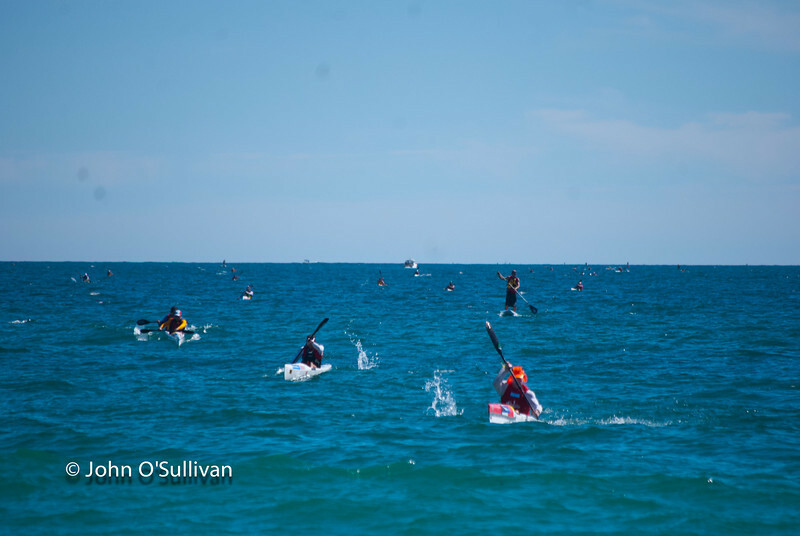 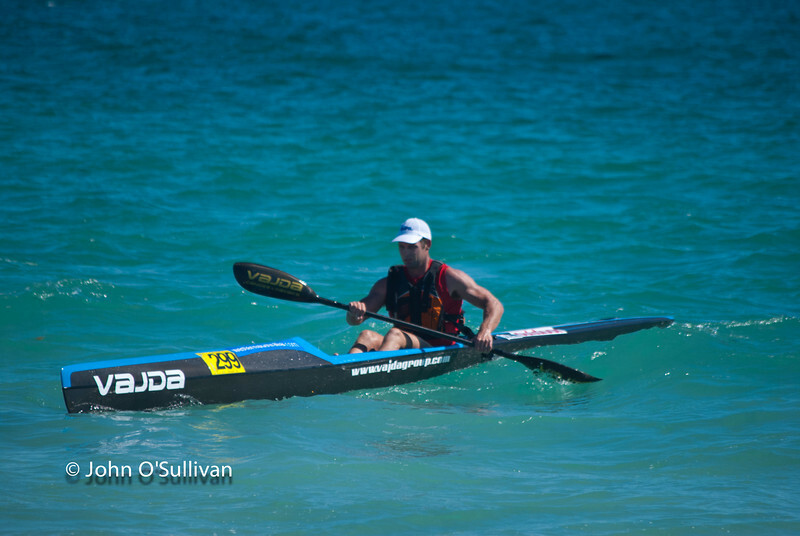 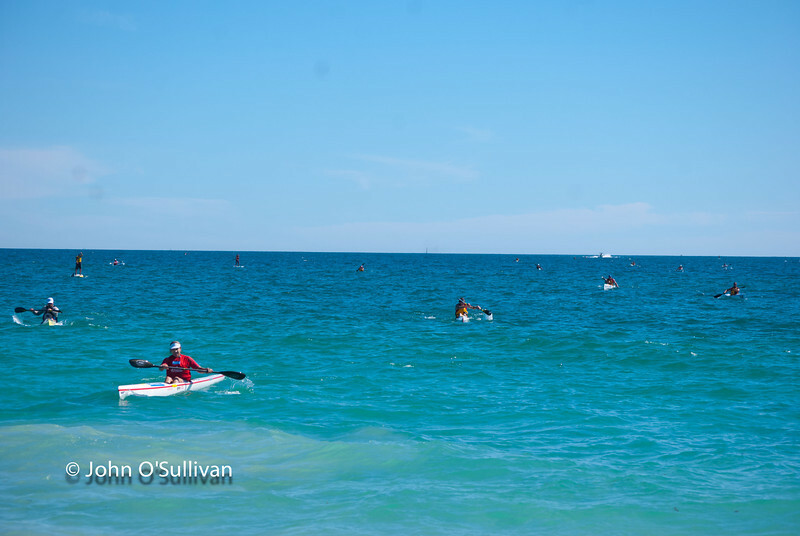 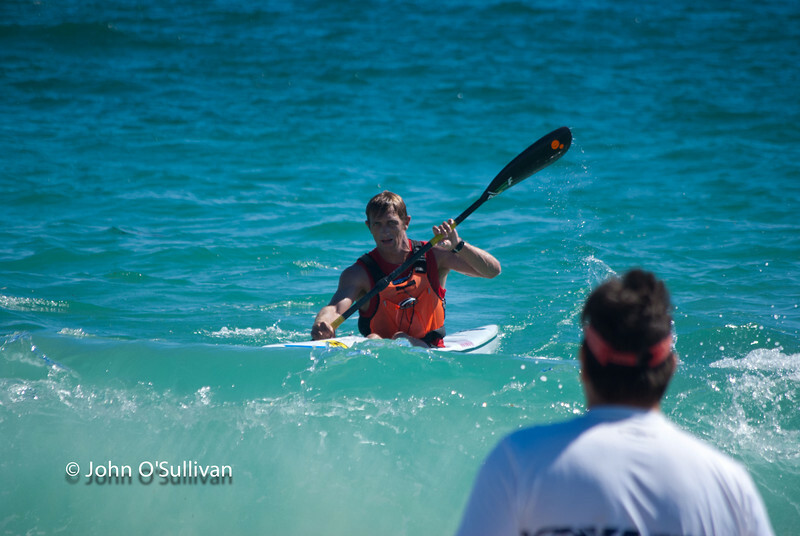 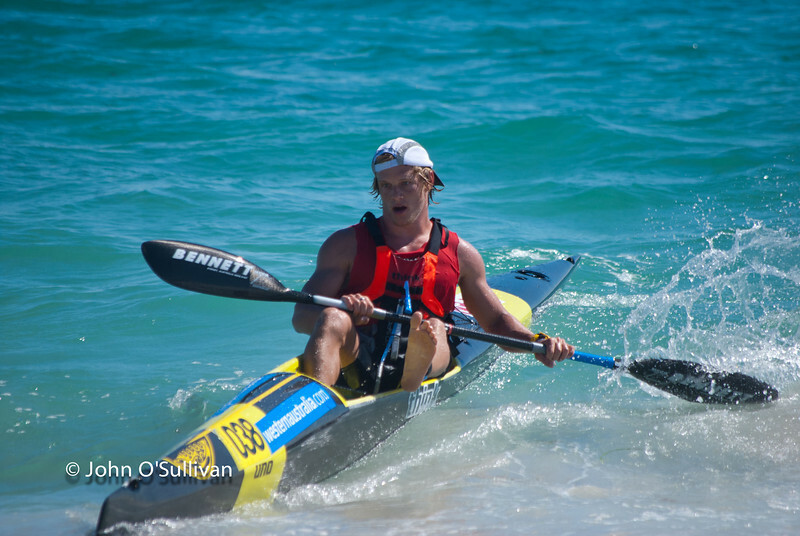 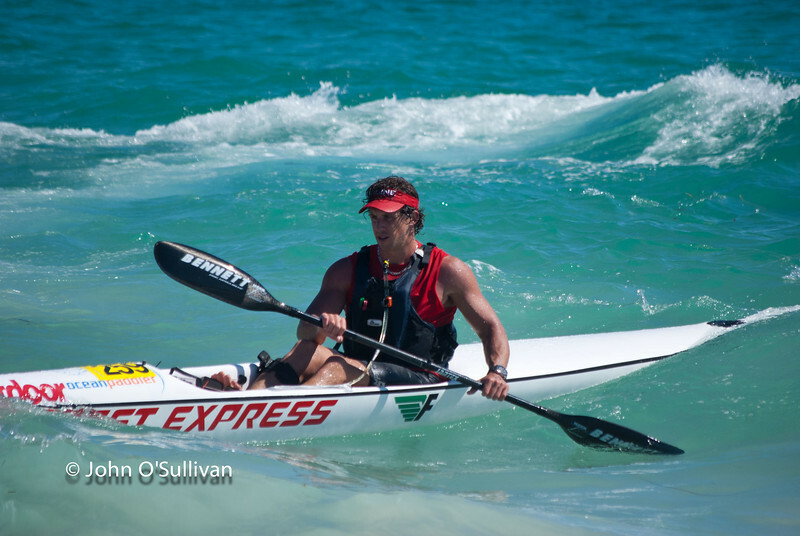 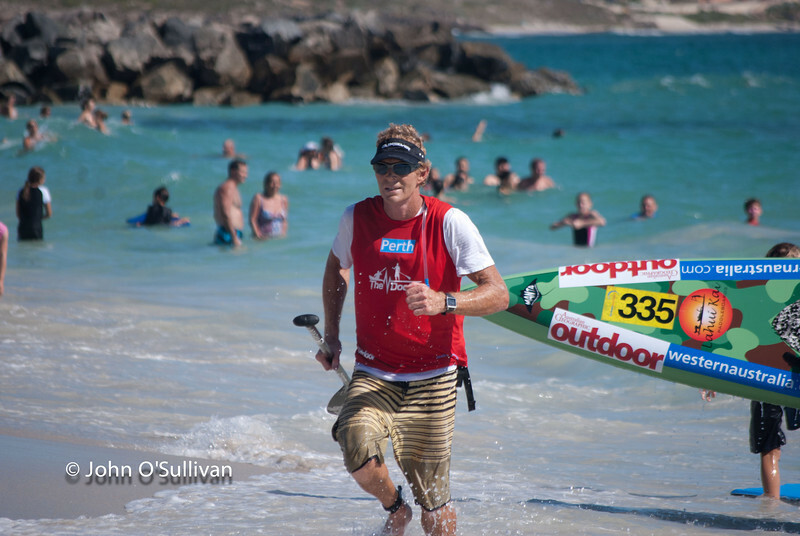 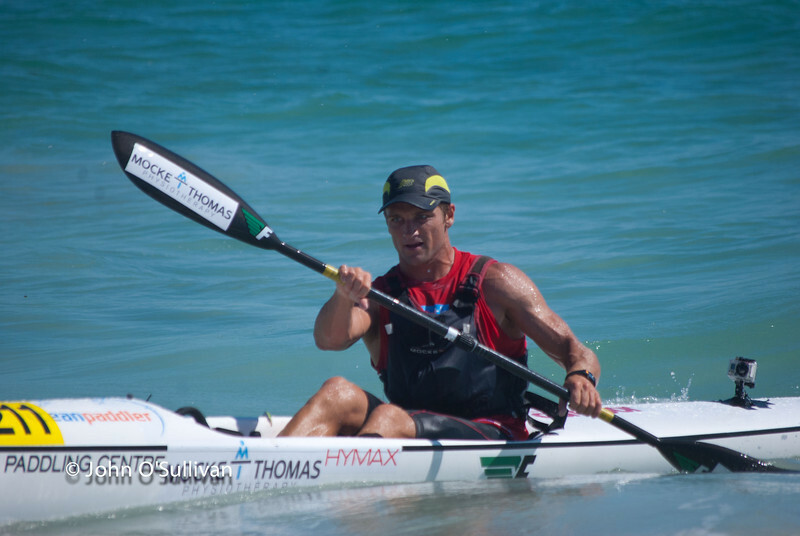 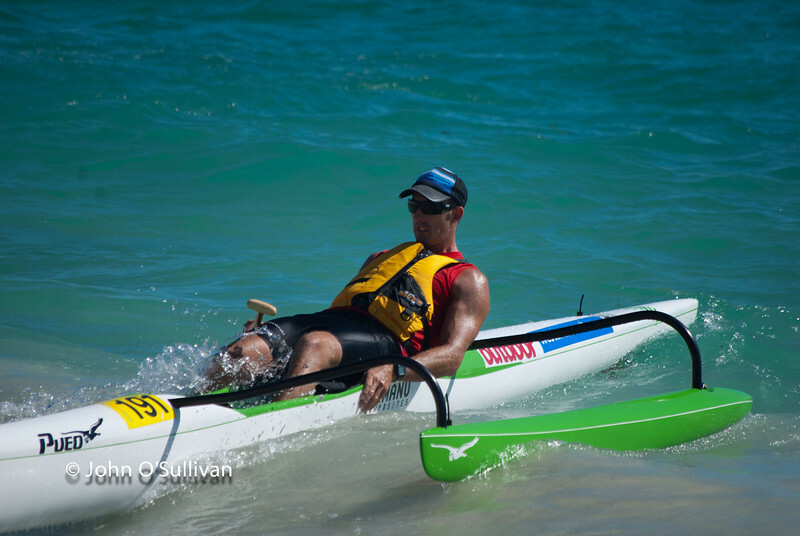 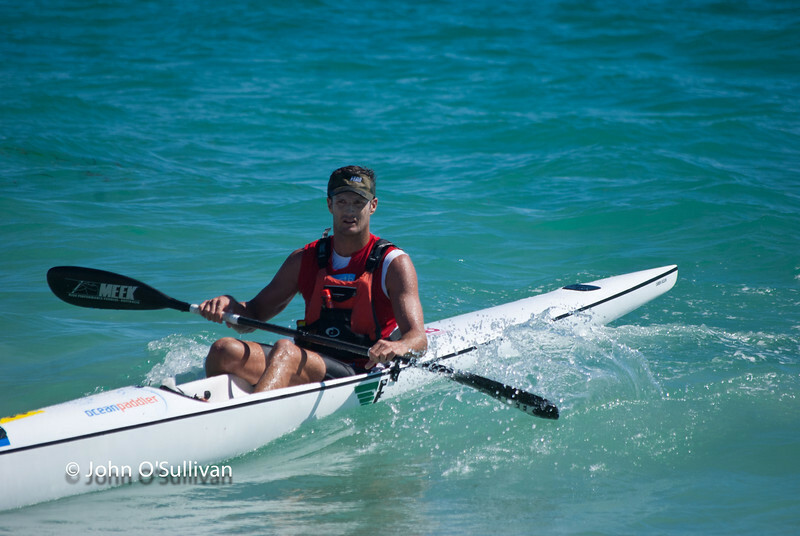 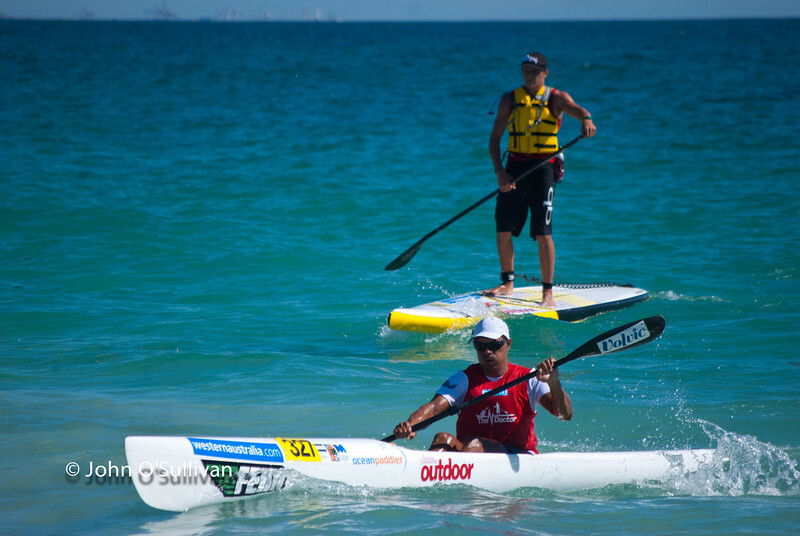 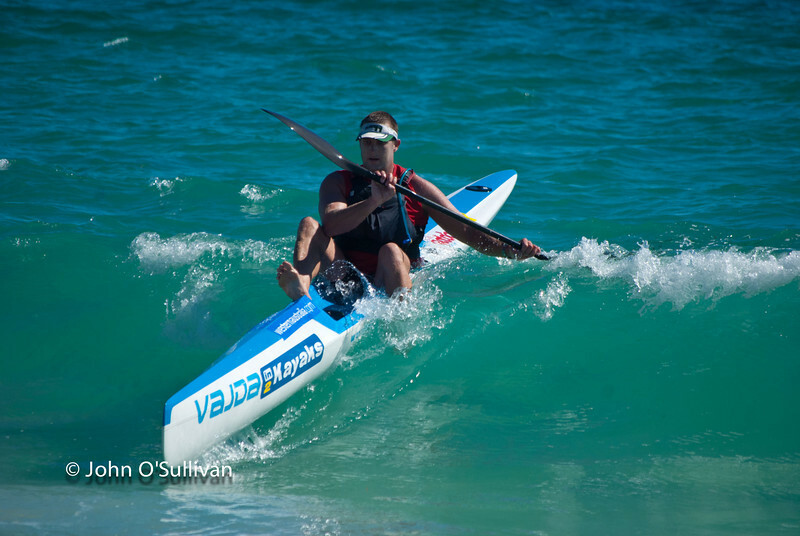 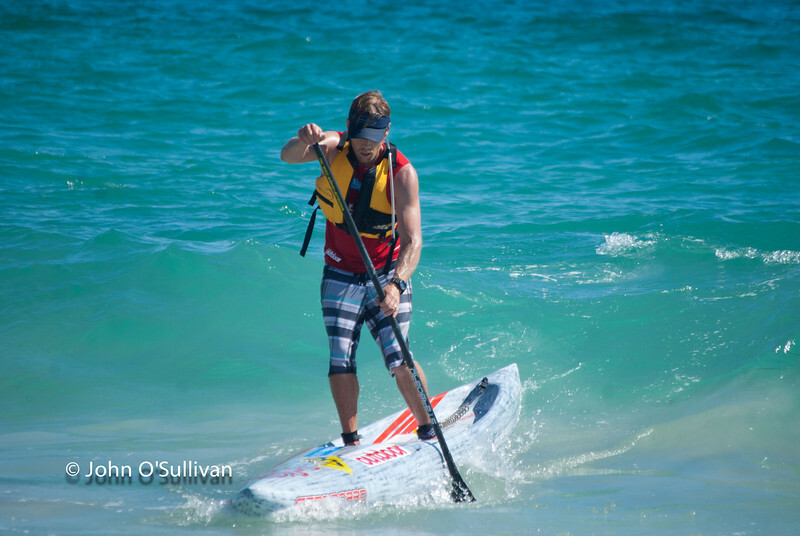 The worlds best paddlers came to fight out what is arguably the best ocean race. 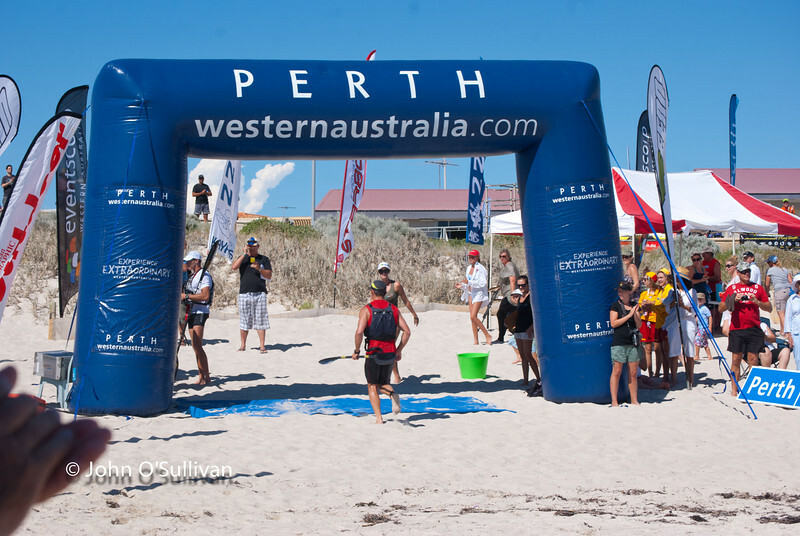 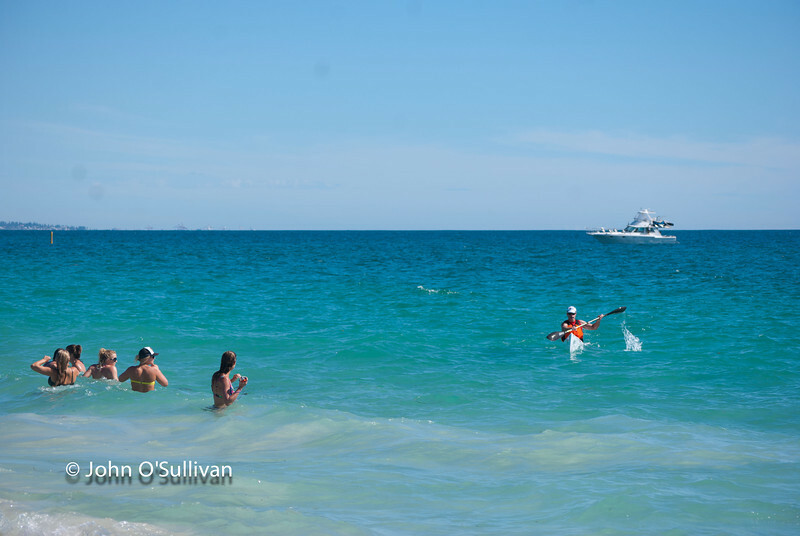 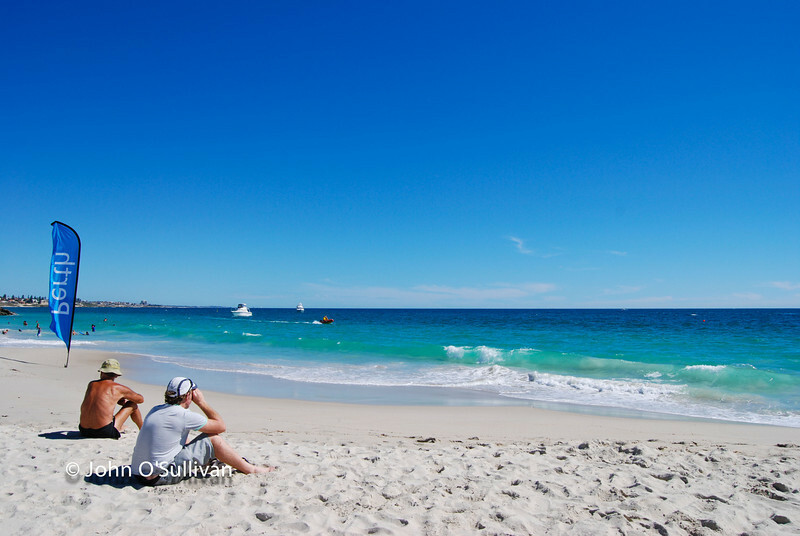 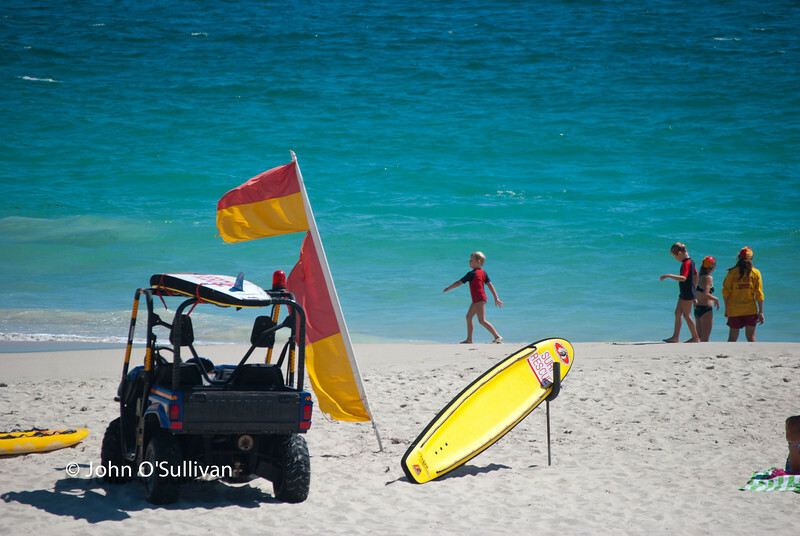 A gruelling distance of 27km from Rottnest Island to Sorrento beach on the main land. 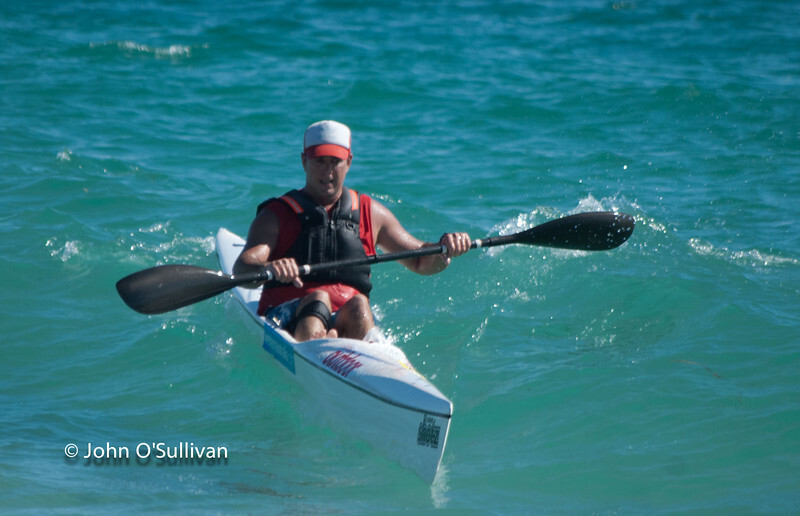 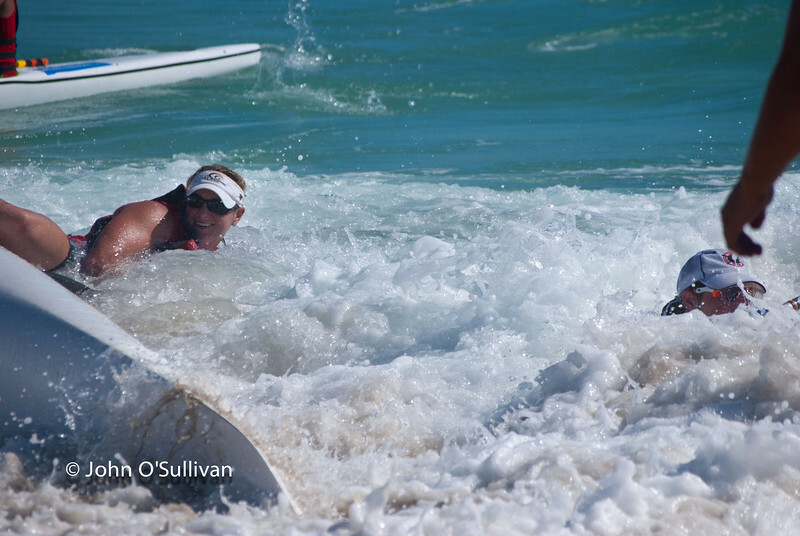 We usually have great consistent SW conditions for down wind ocean paddling but today was not the day. 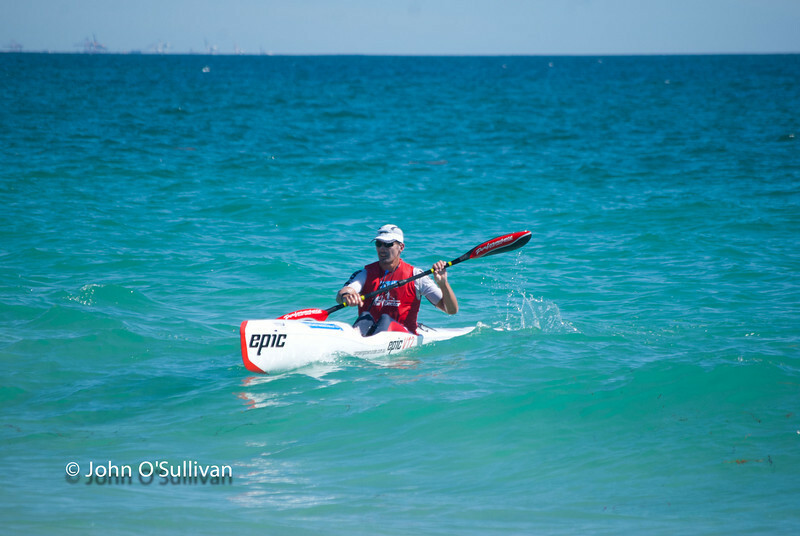 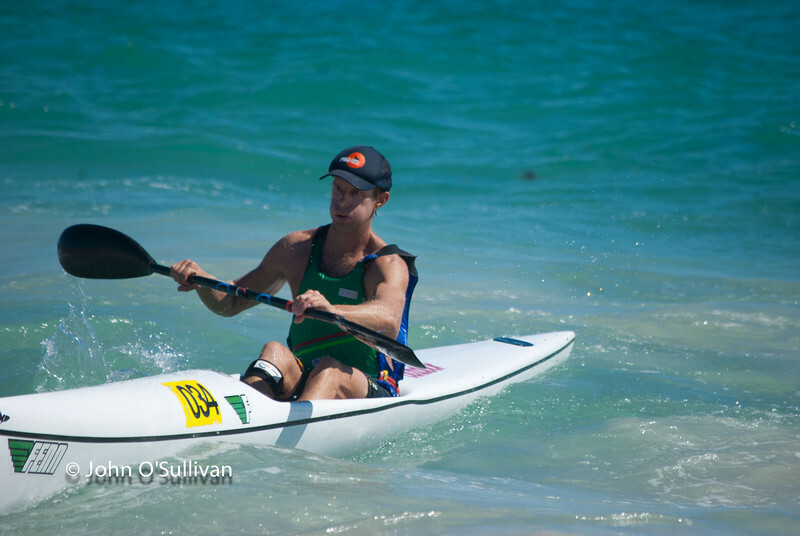 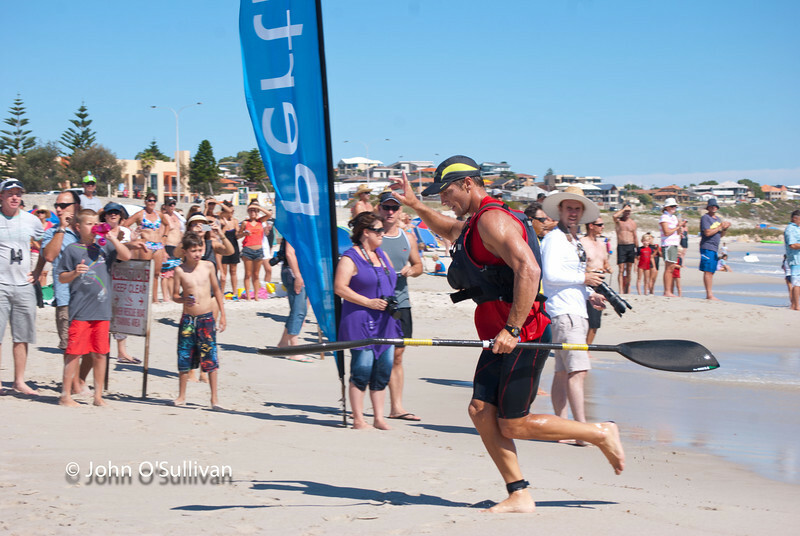 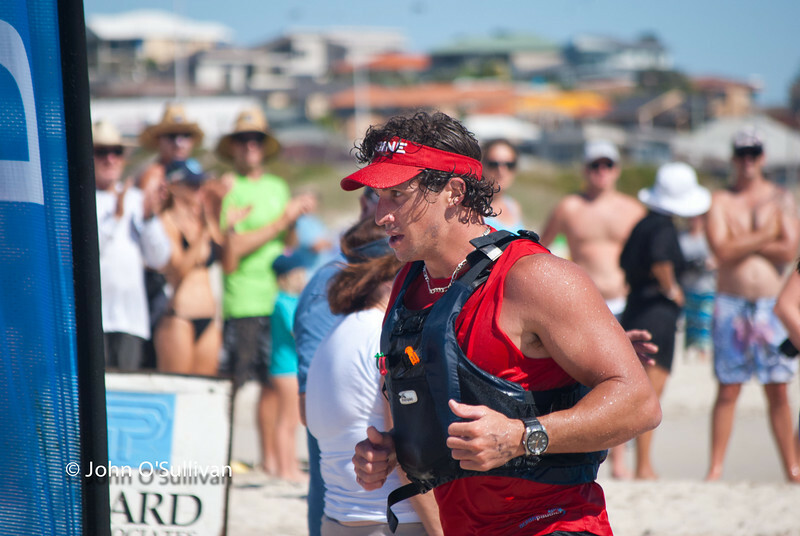 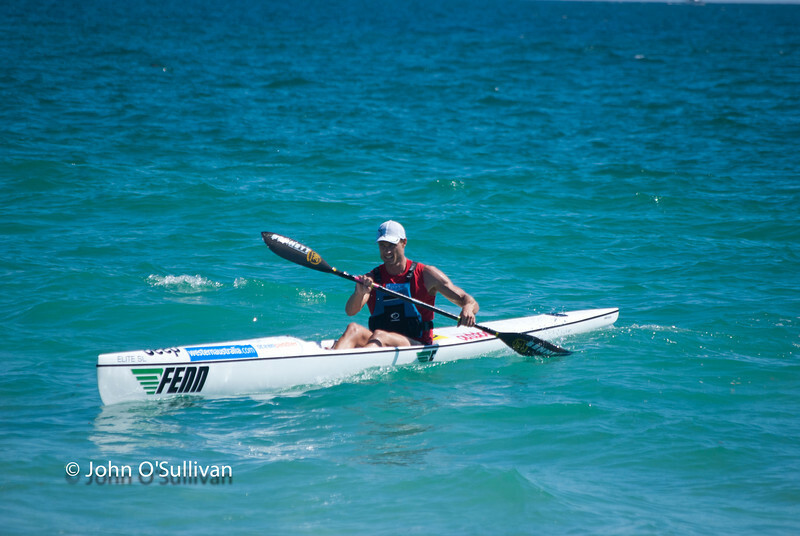 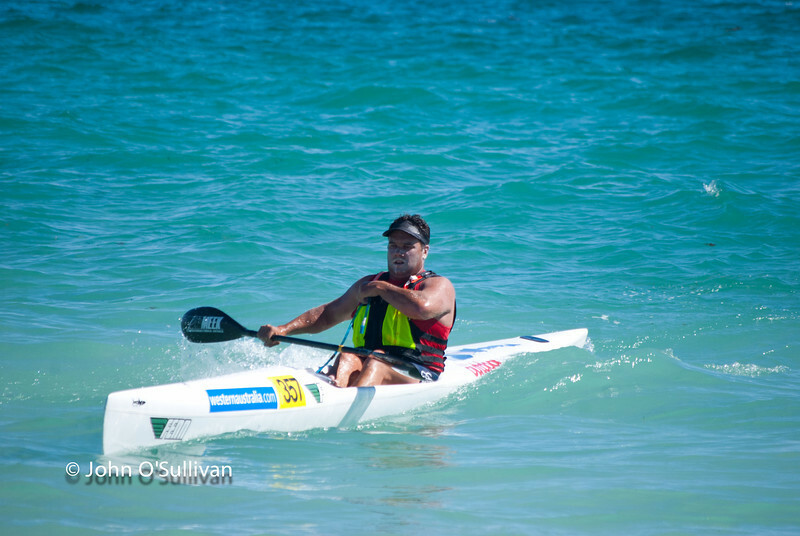 With searing heat brought by 10 knot NW winds, it was a hard slog through a head wind all the way to the finish. 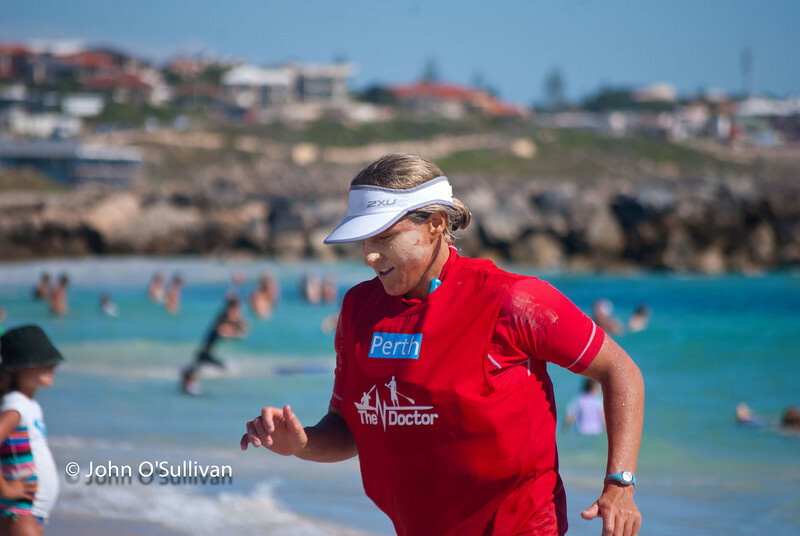 The forecast was predicting a wind direction change but the "Doctor" never appeared. 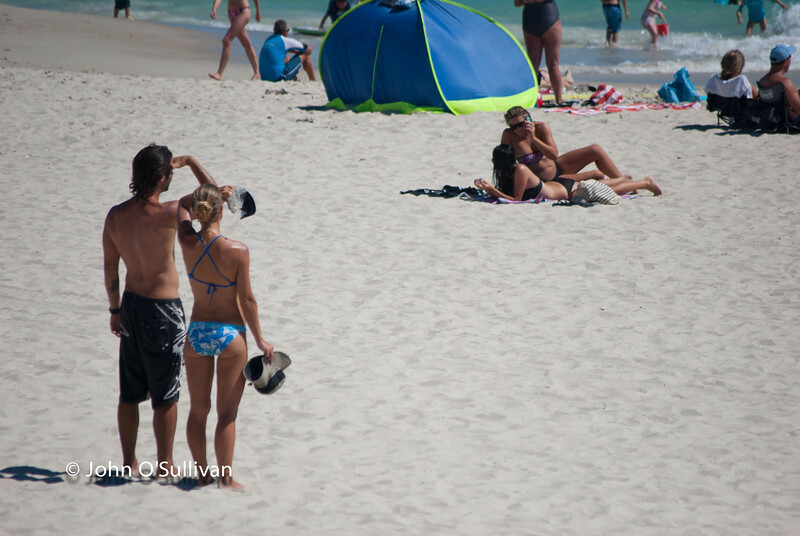 You may notice that the flags should be blowing to the right.